Microsoft just won’t stop expanding the reach of its tablet devices, even in the wake of incredibly tough competition from all corners of the market. Case in point: the Redmond conglomerate is has announced – via its Surface product blog – that delivery of the company’s internally-developed Windows 8 tablet computer to six new territories beginning in late March. The expanded reach of the Surface tablet will include availability in Japan, Mexico, New Zealand, Russia, Singapore and Taiwan for the RT version, with the Surface Pro headed to Australia, China, France, Germany, Hong Kong, New Zealand and the UK in the coming months. No hard dates were given for either delivery, mind you – so take it for what it is for now. For those who are not familiar with the Surface tablet, it’s an internally-developed tablet product from Microsoft itself – something that had never been done before in the company’s long history, or at least with a full installation of Windows on board. The only differences between each Surface tablet edition are in software compatibility, since the RT version uses an ARM processor implementation (and is thus only compatible with apps purchased from the Windows Store, unlike the x86-based Pro version). 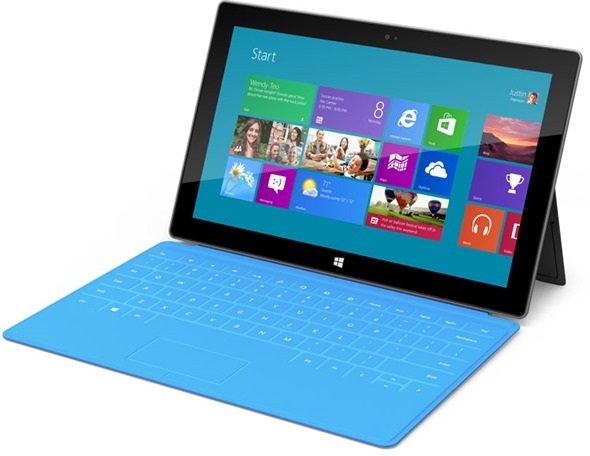 Either version of the Surface device has equivalent functionality otherwise, such as USB peripheral support, a 16:9 high-definition touchscreen, and expandable storage via a MicroSDXC card reader. Tapscape for even more information.